Dr. Kori Schake co-authored, “Restoring Our National Security”, with Secretary of Defense James N. Mattis and James O. Ellis Jr. The chapter appeared in the book, Blueprint for America, which was published by Stanford Universities Hoover Institute. I interviewed her on July 6, 2017. In our interview, we discussed a range of subjects related to American national security. Dr. Schake provided a lot of knowledge and insight into many of the challenges the U.S. currently faces in the world. Dr. Schake is a professor of history at Stanford, and is a research fellow at the Hoover Institute. She also co-edited a book with Secretary Mattis called, Warriors and Citizens: American Views of our Military. We had the following interview on July 6, 2017. At the beginning of the interview, Dr. Schake describes working with Secretary of Defense James Mattis. She says, “We are both argumentative.” Furthermore, she has had many long running debates with Secretary Mattis about the political composition of the Middle East. Moving on to the topic of strategy, I asked Dr. Schake about her definition of strategy. She defines it as, “The way you connect political objectives to their execution. How you identify the means and array them so you have the highest likelihood of being able to carry out your objectives.” She says that, “Strategy is fundamentally a political undertaking.” Political objectives must dictate the scope of military planning and operations. Additionally, Dr. Schake echoes several of the principles that I discussed in interviews with Sir Lawrence Freedman and Gideon Rose on How Wars End. Finally, Captain Schake talks about his recent experience in Iraq, and the changing strategy that has occurred since his first deployment in 2016 and his second deployment in 2017. On Iran, we talk about the influence of Iran in Iraq. Dr. Schake claims that Iran is “absolutely a threat” and explains why she considers them to be a major source of instability in the region. 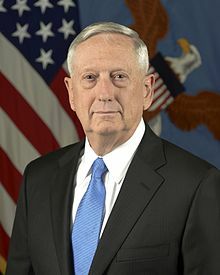 “Iran has to decide if it wants to be a revolutionary movement or a state.” This quote is attributed to Secretary of Mattis. 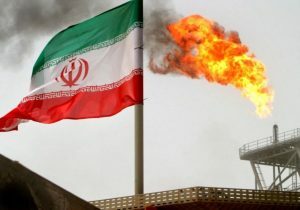 On Iran, Dr. Schake claims that the U.S. and Iran want “different outcomes” in the Middle East. In my interview with Jay Solomon, we talked about Iran in depth, and the nuclear deal between the U.S. and Iran. Dr. Schake mentions a program in which Iranians cast protest votes for “fake candidates.” She explains that it was part of a process of exposing repressive governments and supporting opposition movements in Iran. Next, we draw a distinction between the way that the U.S. has been involved in foreign elections, and what Russia has done. Moreover, the U.S. has worked to promote free societies while the Russians have repressed free societies. I reference the 1953 CIA coup in which the U.S. overthrew the freely elected government in Iran, and put the Shah in power. Check out the book All the Shah’s Men by Steven Kinzer for more information on the U.S. backed coup d’état. “This Russian government is genuinely evil. They mean us harm. 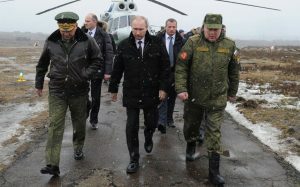 They will do us harm when they have the opportunity.” For more information, I talked about Vladimir Putin in an interview with Steven Lee Myers on his book, The New Tsar. 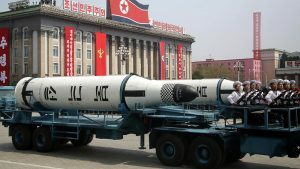 Captain Schake does not see the possibility for a military response to North Korea considering their ability to target Seoul. However, he speculates on an “asymmetric” response to North Korea. In the July 2017 cover article for The Atlantic, Mark Bowden writes about four options for dealing with North Korea. These options range from full-scale military invention to “acceptance” of the status quo. How Does the U.S. Maintain International Security? Dr. Schake claims that our form of government continues to be a magnet for the best talent in the world, and offers people a better life. 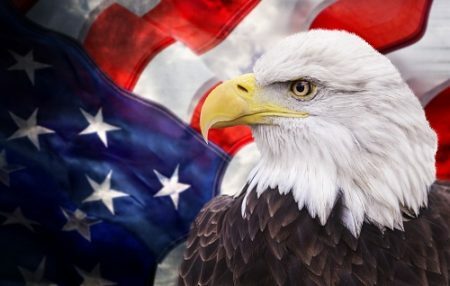 As a result, America has a lot of credibility and represents opportunity to many people in the world. 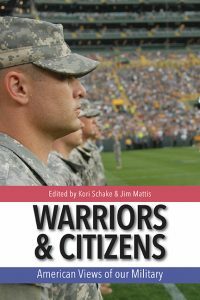 Secretary Mattis and Dr. Schake co-edited a book called Warriors and Citizens that looks at the changing nature of America’s attitude towards U.S. military leaders. 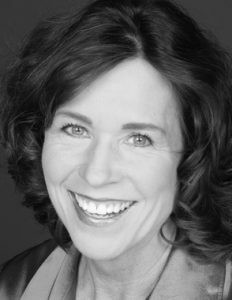 Due to the military being held in high regard, Dr. Schake worries that the “suits can hide behind the uniform.” She adds that the public wants the military engaged in political life. However, she is concerned that this could harm the public’s respect for the military. The following interview with Task and Purpose relates to the topics in Warriors and Citizens. Dr. Schake is publishing a book called Safe Passage. The book is a history of the transition from British to American dominance in the international order. It will be published in the fall of 2017 by Harvard University Press.